← Get ready for the year end! Are you headed for a fundraising crisis? 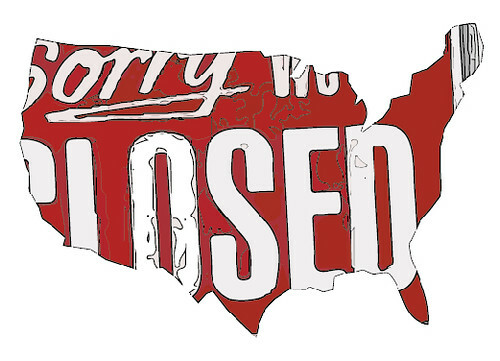 The first 16 days of October were a demonstration of “governing by crisis.” The federal government was shut down, hundreds of thousands of government employees were furloughed; small businesses, nonprofits, and individuals were impacted in ways big and small; and the business of governing was brought to a standstill because Congress could not pass a budget. Here is our question to nonprofit leaders: are you addressing the critical fundraising and fund development issues that support long-term nonprofit financial, or are you headed for a fundraising crisis? Refusing to address fundraising fundamentals is a recipe for disaster. Here are a few examples of what we mean. Is your nonprofit operating from a fundraising plan? Do you have a development committee of the board that sets fundraising policy, recruits volunteers, recommends fundraising budgets, and ensures meaningful giving and involvement by all board members? Do you have market-based feedback that informs management decisions regarding revenue (fundraising)? Have you created fundraising projections that you measure progress against on a monthly basis? What are your long-term projections for operations and what are you doing today to create a diverse revenue base – and volunteer base! – that will support your institution now and in the future? If your organization receives multi-year foundation grants are you prepared for a phase-out of funding? Have you identified replacement funding? Are you seeking to raise capital funds for construction or renovation of facilities without a fundraising budget? Do you expect current staff and volunteers to raise new funds without additional resources? Likewise, are you seeking to expand programs, or build a reserve or endowment without knowing the activities and costs associated with such fundraising? How are you budgeting (and staffing) for increased revenue? If your college or university is impacted by changes in the Parent Plus loan program and the resulting decrease in enrollment, can you focus on these issues while sustaining and growing your annual and major gifts fundraising? Do you have the leadership and structures in place to pursue multiple critical issues at one time, or is fundraising on the backburner? Here’s what we know: fundraising always needs to be front and center. You need to know where your money will come from. Failure to plan is planning to fail. Don’t put your nonprofit at financial risk. Crisis fundraising is not a plan: there is a long list of nonprofits who found this out the hard way. Photo credit: Marina Noordegraaf http://goo.gl/upR3dp. This entry was posted in FUNdraising Good Times and tagged crisis fundraising, fundraising, fundraising management, government shut down, nonprofit management, Parent Plus Loans. Bookmark the permalink.